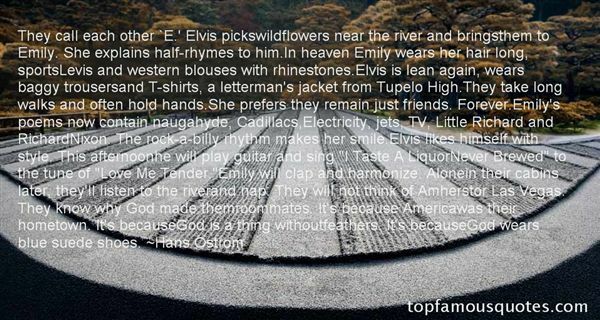 Reading and share top 1 Hans Ostrom famous quotes and sayings. Browse top 1 most favorite famous quotes and sayings by Hans Ostrom. I'd made these experimental films but I thought the major chore of a filmmaker was to relate to actors."